A specialist engineering company with dedicated assembly and test facilities. Reliance offers a broad range of assembly services supported by extensive cleaning facilities, which are suitable for the requirements of high-vacuum systems, mechanical and electro-mechanical systems and integration of optics and lasers. 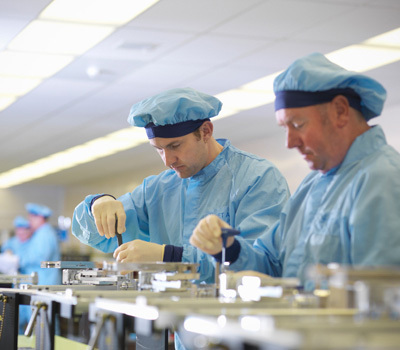 Our highly skilled build and test personnel are capable of assembly and measurement to sub-micron levels, and this degree of precision puts Reliance at the forefront of assembly and test for today’s cutting edge products. 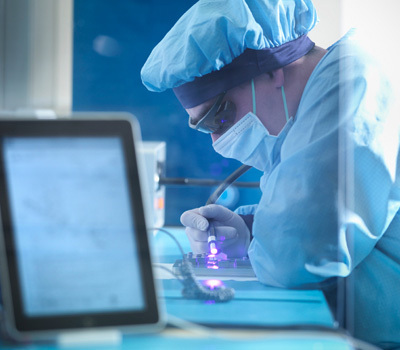 Reliance’s experienced team of assembly engineers has a broad range of application experience, ranging from mass spectrometry and laser optic assemblies, through to precision mechanical and electro-mechanical devices and control surface actuation systems. This versatility and experience enables us to undertake the most technically demanding assembly work. The level and depth of assembly engineering support that we are able to offer sets us apart in terms of our ability to support products throughout their life cycle and add value to our customers. Our clean assembly capabilities include three ISO 14644-1 Class 7 (Fed Std Class 10,000) cleanrooms and extend down to a Class 4 (Fed Std Class 10) clean environment, capable of handling the most sensitive of high vacuum applications and optical work. 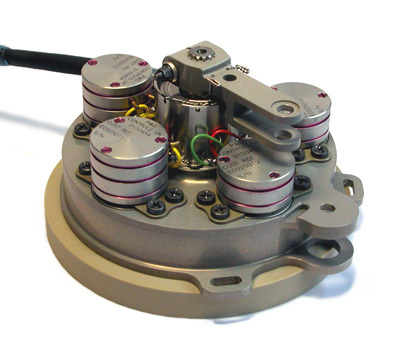 Our discipline and handling of parts and assemblies at such levels of cleanliness have been developed and refined over 15 years of experience in high vacuum assembly work. 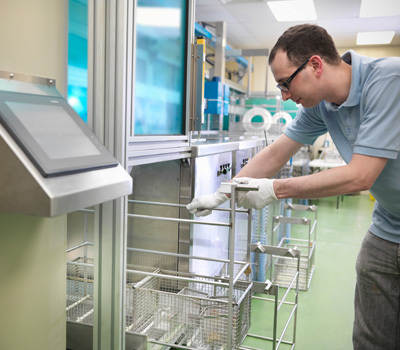 All our cleanrooms are regularly calibrated to ensure the highest standards of cleanliness are maintained at all times. Our assembly facilities are extensive and flexible. In addition to laminar flow cleanrooms, we have standalone laminar flow clean benches, which can be used within any of the three separate cleanrooms to provide additional flexibility. We also have scope for separating and managing different disciplines and the ability to provide dedicated areas for confidential projects. For further information see the clean assembly technology page. 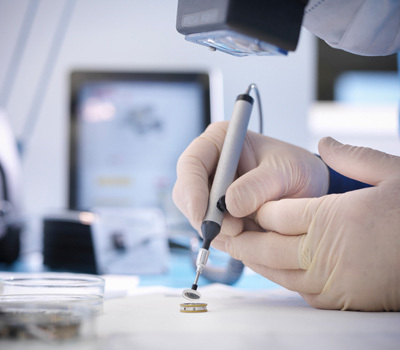 Our assembly services are supported by specialist cleaning facilities, which ensure that we are able to clean all components against the stringent standards required for mass spectrometry, laser, and semiconductor applications. Our cleaning methods include: plasma cleaning, vacuum baking, solvent cleaning, acid cleaning and aqueous cleaning. We have the knowledge and experience required to select the most appropriate combination to meet each customer’s specific needs. Our cleaning processes are measured as well as calibrated, to ensure appropriate levels of cleanliness are achieved for each customer, prior to commencing the assembly process. A separate facility has been specially designed for electro-mechanical fine precision assembly work. It includes a segregated Electrostatic Protected Area (EPA) for assemblies which contain Electrostatic Sensitive Devices (ESDs). The EPA has a conductive floor, benches and chairs, with each bench having its own Earth Bonding Point (EBP). Unique inspection facilities enable dynamic transmission error tests to be performed on complete geared mechanisms and assemblies. An experienced wiring department supports all aspects of our assembly services and is certified to both IPC 620 and ANSI J Standards. For further information see the gears technology page. Our newly extended optical cleanroom is dedicated to the integration of optical components with mechanical components and assemblies. It is a fully paperless environment, using the latest mobile data technology for all drawings, route cards and assembly process documentation. It is air filtered to Class 4 (Fed Std Class 10), with assembly capabilities including optical inspection, handling, bonding, cleaning and packing, with operational disciplines and equipment proven to meet the demands of working with sensitive optical devices. As with the electro-mechanical assembly area, the optical cleanroom is also an EPA, suitable for assemblies which contain electrostatic sensitive devices. For further information see the opto-mechanical assembly page. 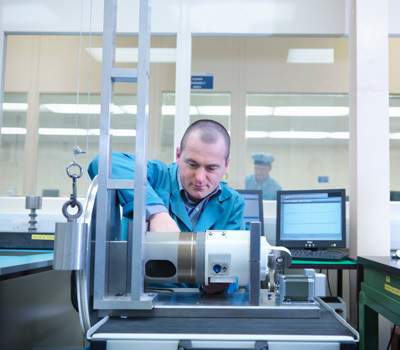 Testing is core to our operational activity, enabling us to achieve exceptionally high quality and to prove the performance of an assembly prior to delivery. All our assemblies are diligently tested and recorded, both in line with our customers’ specifications and our own stringent standards. We offer a broad range of testing facilities, incorporating helium leak testing, analyser beam testing, electrical and environmental testing, as well as our own, unique, dynamic transmission error testing capability. View more information about our quality control. Parts for assembly are either manufactured in-house, particularly where features are deemed critical to the performance of the assembly, or sourced from our established supply chain. This supply chain is managed by an experienced purchasing team with extensive technical background and integrated quality support to ensure all parts are delivered on time to the very highest standards. Our parts handling capabilities include full material traceability and clean stores facilities. We also offer the ability to part mark individual components using the latest laser technology. For more information on our quality control.